Here’s video footage of Abraham performing Mushroom Ann’s I’m Gonna “F” You Good at Rupert’s Brew House. Footage captured by James P.M. Lee. 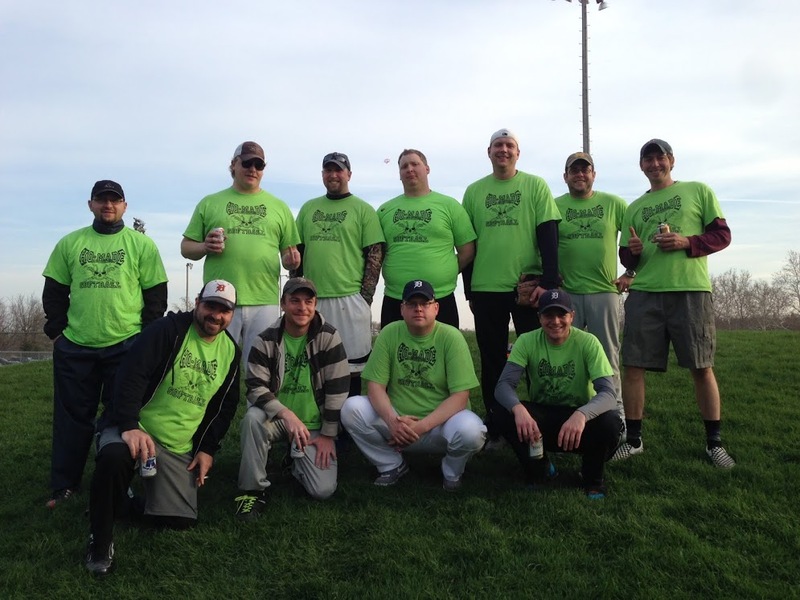 Ho-Made Record’s softball team came in 2nd this season. A video recap is soon to come. It’s been a very busy summer. As you may have noticed we haven’t posted very much this summer. We’ve just been so very busy, in other words… partying. Earlier this summer we released a video for That Doesn’t Fly by Abraham. Which currently has over 2000 hits on Youtube. In addition to that video our friend Dustin Babcock shot another music video/short film based on Abraham’s song Drinkin’ & Smokin’. Which he filmed in an actual studio with actual actors. Dustin will be submitting his film to various film festivals. Which helps us spread our music to a larger audience. Lastly we filmed another video for Abraham’s Where Are You Now?, which will be released later this month. 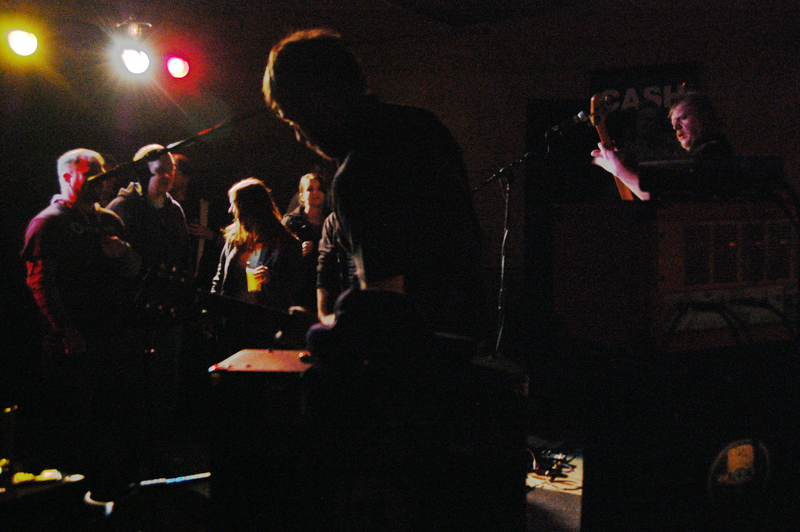 All summer Abraham has been playing shows at various places around Michigan. 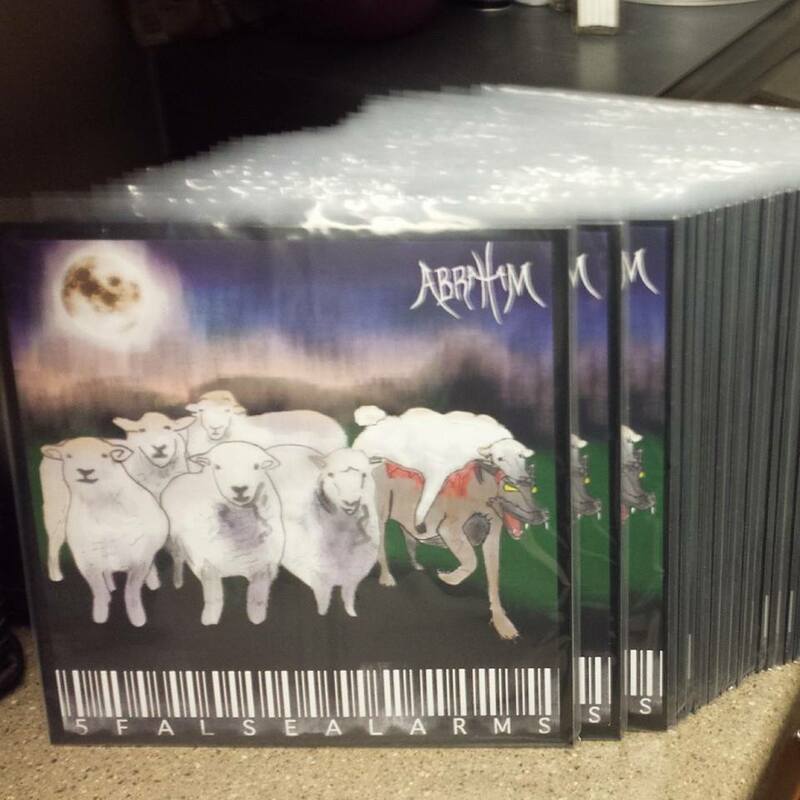 Since we’ve last posted Abraham played at Trust Fall Records and Coffee in Grayling Michigan. Subsequently we were interviewed on Q100.3 for their Michigan Music Underground. We personally didn’t hear the interview, but it was a lot of fun to do. Following that show Abraham played at an ad hoc music festival called Pyrofest. There were 200+ people in attendance, all of which seemed to enjoy the rock spectacle. Abraham had to play an extra half an hour set of covers while women wrestled in jello. We also met some very cool bands and performers such as Hand in the Ocean, Alexander James Webb, Nate & Cole Find a Radio, and Bob Busch. After those shows we also played at Louie’s Trophy House & Grill with Grave Hounds and The Free Life, followed by a show at Rupert’s Brew House with our good friends Life Size Ghost. Like I said, we’ve been really busy this summer. 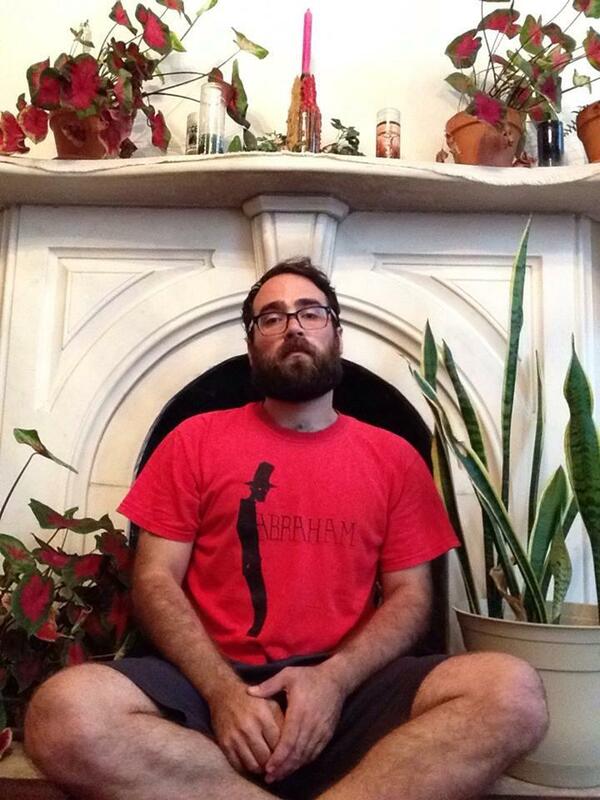 Abraham is continuing to play shows this summer and fall. Starting this Saturday at Louie’s with our friends The Dread Return and others. Here is our current show schedule. 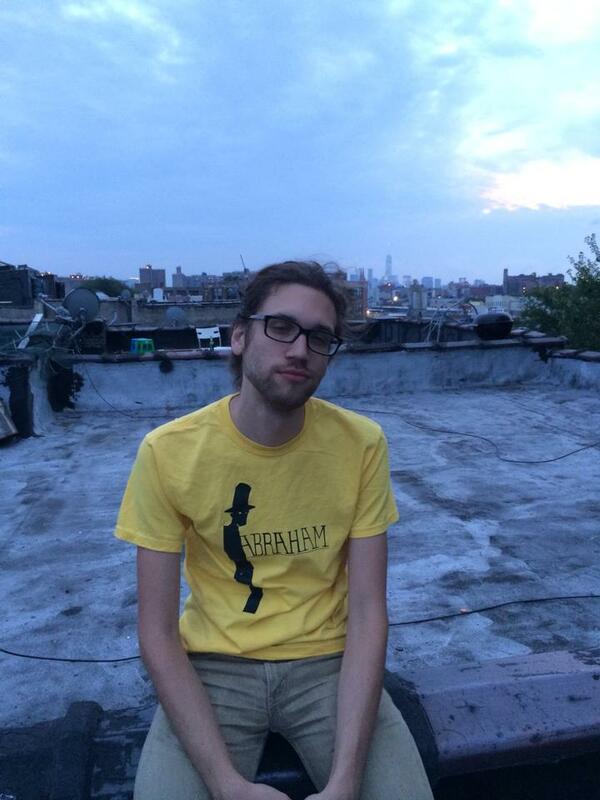 On top of all of that Abraham has been hard at work recording their next album Into This Haze of Green and Gold. Hopefully it’ll be finished by the end of the year. Finally I’d like to mention that Abraham is posting photos of people wearing their shirts. 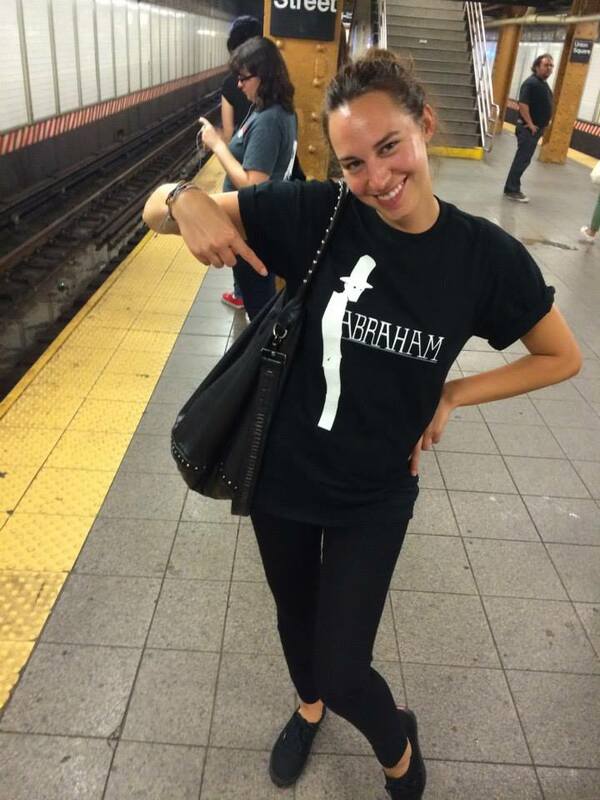 If you happen to have a shirt or a photo of you wearing an Abraham shirt head over to Abraham’s Facebook Page and post it. 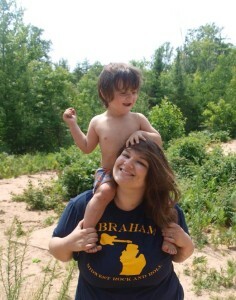 Also if you would like to purchase a Abraham shirt they are available online here. Here is the newest release from Abraham. A new song and video called That Doesn’t Fly. This is actually Abraham’s first music video. We filmed this at Eastern Hill Golf Club in Kalamazoo Michigan, and Chuck’s Electric in Portage Michigan. The golf footage was filmed by Ryan Turner, he also did a little bit of compositing. 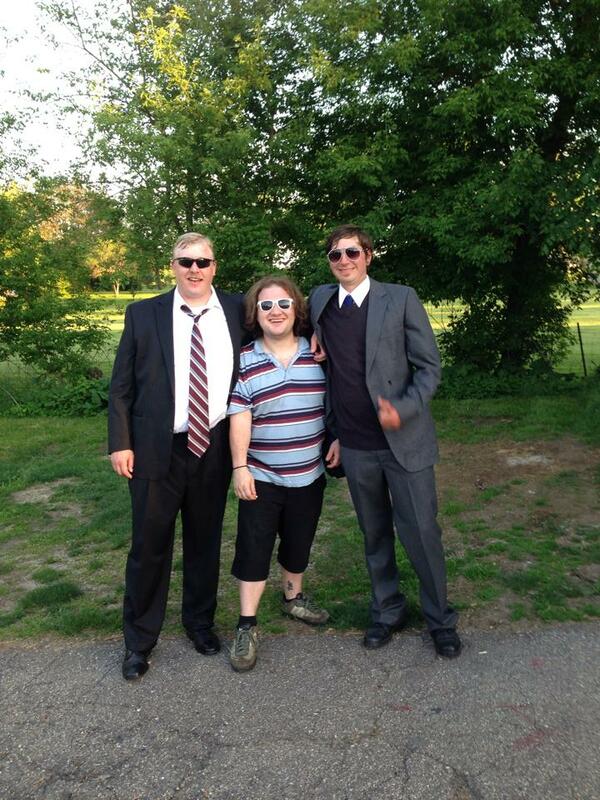 Jake Perry, Ken VandenOever, Ben Strimple and Chuck Puckett play the roles of Suits. Ashley Glass played our Beer Girl, along with Katherine Nichols. The Caddy was played by Nicholas J. Link. The story was conceived by Abraham and Nicholas J. Link directed and edited the video. 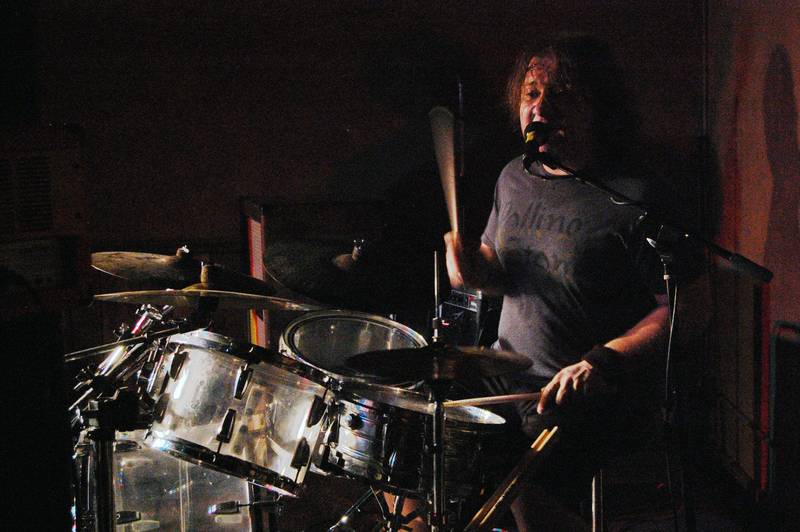 In addition to this video our very good friend Dustin Babcock working on a video for Drinkin’ & Smokin’. Dustin will be submitting this to film festivals around the US. 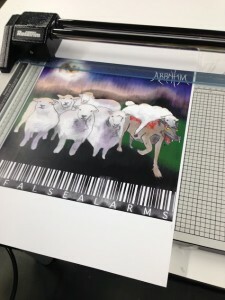 Helping further expose Abraham and Ho-Made Records to a larger audience. But Dustin needs help, monetary help. 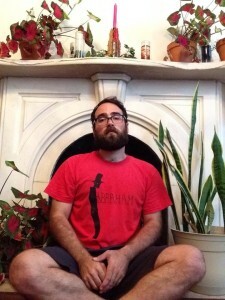 He has started an Indie GoGo campaign to raise funds. If you are willing and able to help we would greatly appreciate it. You can find his Indie GoGo page at the following link. One final thing. If you live in Northern Michigan we’re headed your way for two shows. 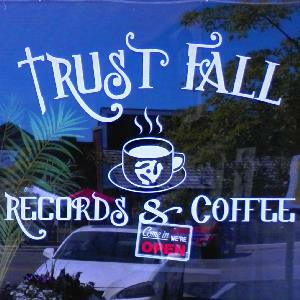 The first of which is at Trust Fall Records & Coffee in Grayling Michigan. Trust fall is owner and operated by our friend The Reverend James Jones. 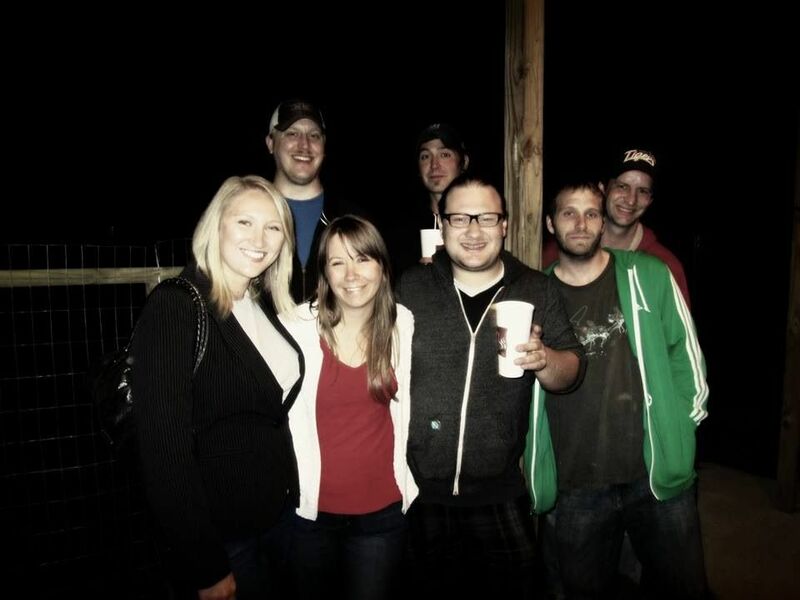 We always have a great time at Trust Fall and we are certain you will too. 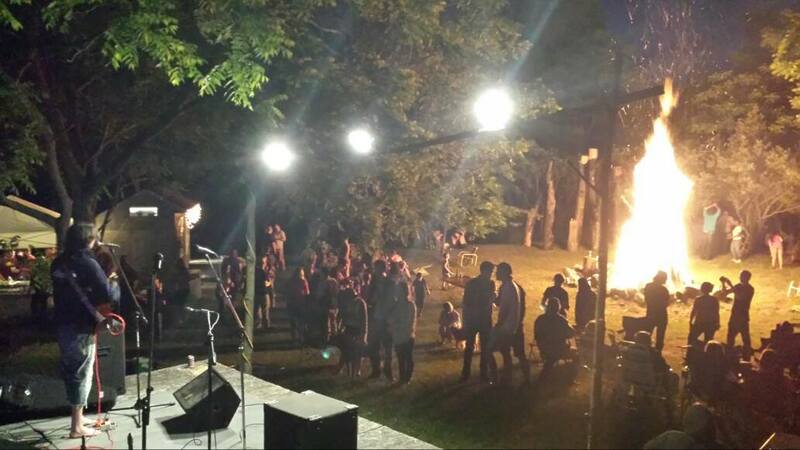 The second show is at a folk/indie festival near Farwell Michigan called PyroFest. We will be camping the entire weekend. 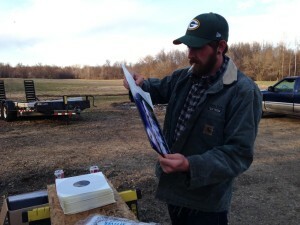 If you’ve ever been on a Ho-Made Records camping trip then you know it’s a party. If you’ve read this post then consider yourself invited. We love to see your faces out at shows and we love to party with you guys. 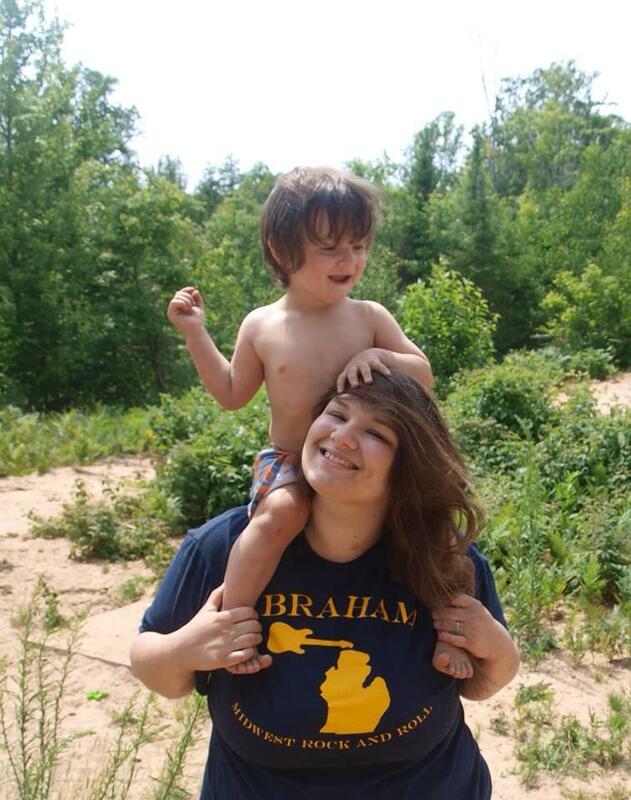 In conclusion Abraham has two videos in the works as well as two shows in Northern Michigan. If you can, please contribute to Dustin’s Indie GoGo Campaign. You might know him as something else, but we know him as F. O’Reelsies. Today he released a new single on Ho-Made Records. 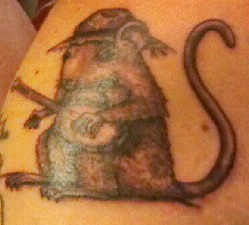 F. O’Reelsies is a good friend and long time Ho-Made Records contributor. If you know the guy you’ll recognize this song as somewhat of a testimonial. We’ve been listening to it all day. We hope that you listen to it for the rest of the day. Enjoy. 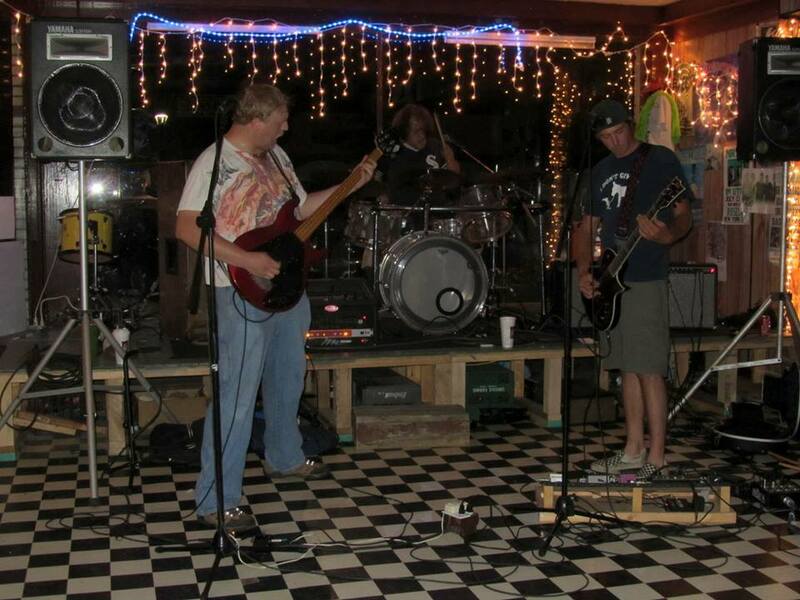 First off we’d like to thank everyone who came out to our show at Rupert’s last Saturday. 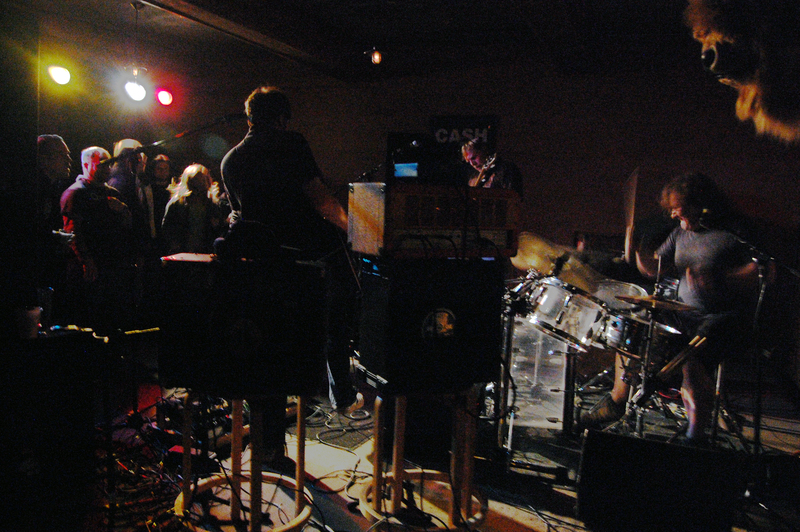 Branden Mann and Fishlips were great. Some poor college kid got hit by a car in front of Rupert’s during Abraham’s set. There was a brief intermission to be respectful to the victim and the police on the scene. 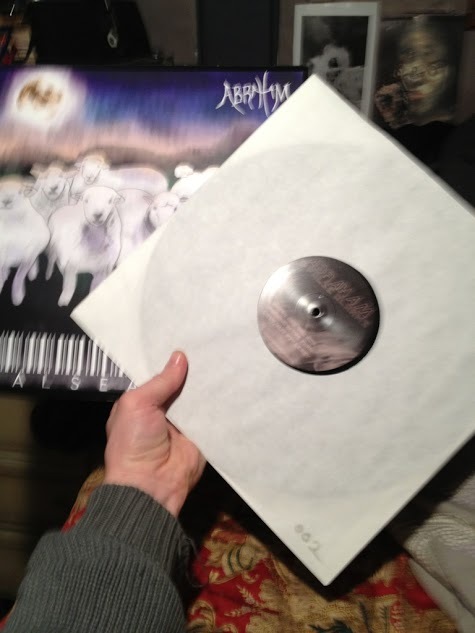 After the dust settled Abraham managed to efficiently turn out the hard jams. Also here is live footage of Abraham performing Flowers on your Grave at Louie’s Trophy House on 4/19/2014. I would like to thank everyone for coming out to that show as well. 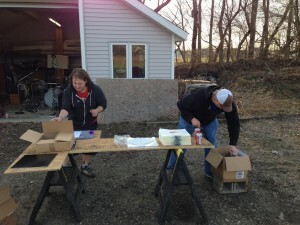 The footage was shot by Ryan Turner and the still photos taken by Kali Rae Hornick and Stefanie Grande. Special thanks to them for all their help with this show. 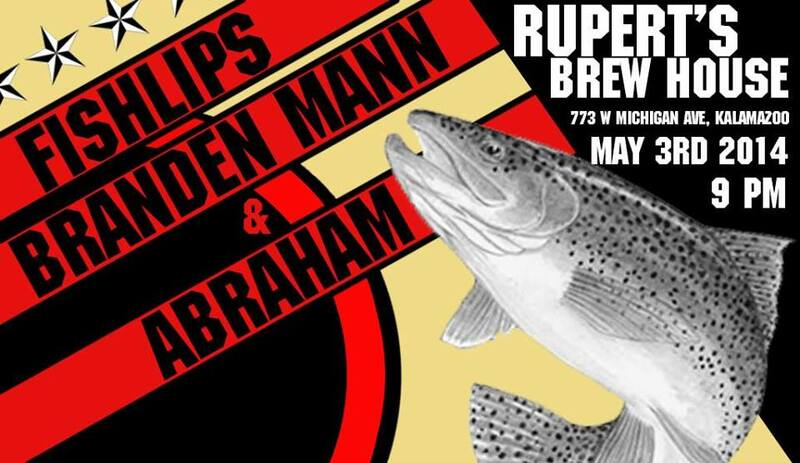 Abraham is playing with Branden Mann & Fishlips this weekend at Rupert’s Brew house. 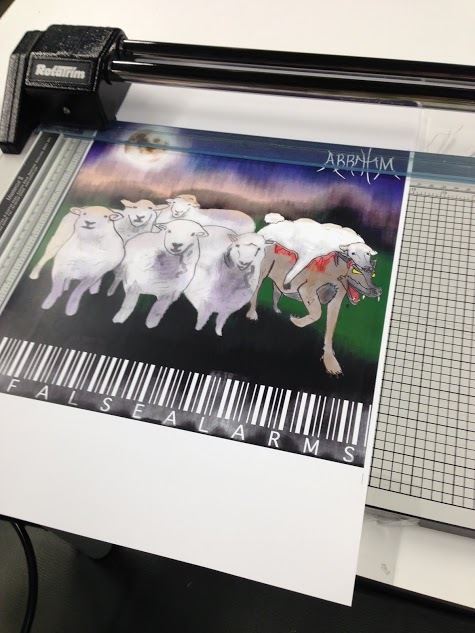 Ho-Made Records will be there selling copies of Abraham’s 5 False Alarms on vinyl. We hope to see you this Saturday. 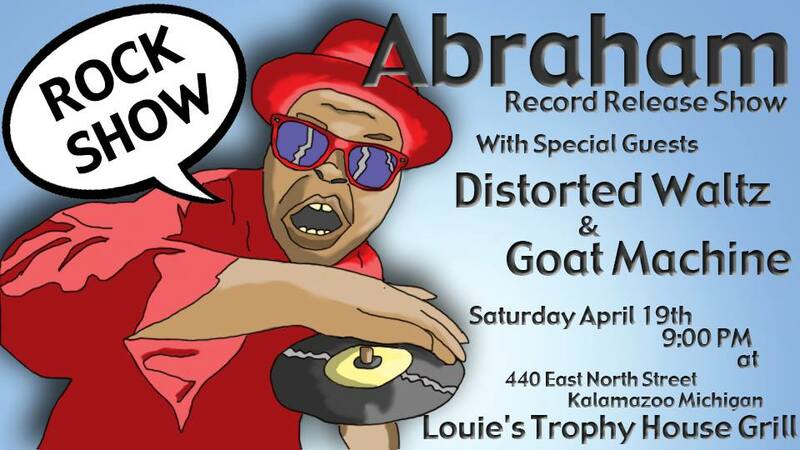 Abraham is having their record release show this weekend at Louie’s Trophy House & Grill in Kalamazoo Michigan. 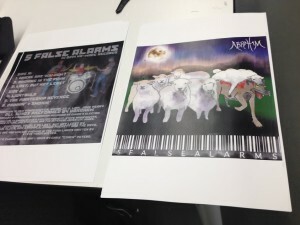 We will have records, tee shirts, and pins in support of 5 False Alarms. 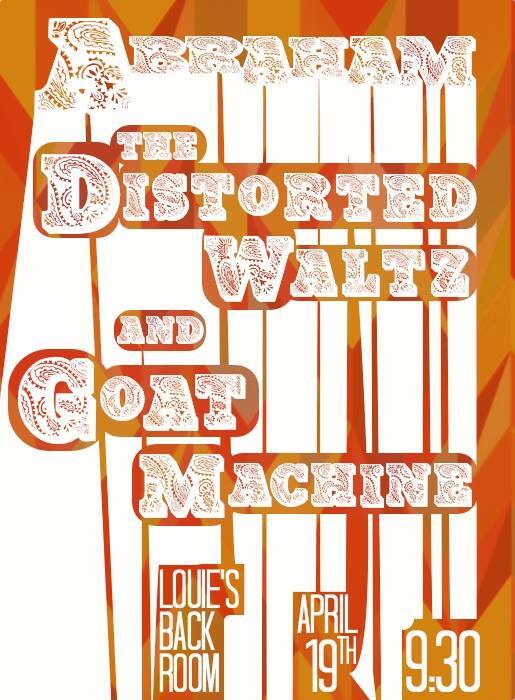 Of course Abraham will be playing along with local bands Goat Machine & The Distorted Waltz. We look forward to seeing your smiling faces and selling you all records. See you then. If you can’t make it to the show you can always order on online here. 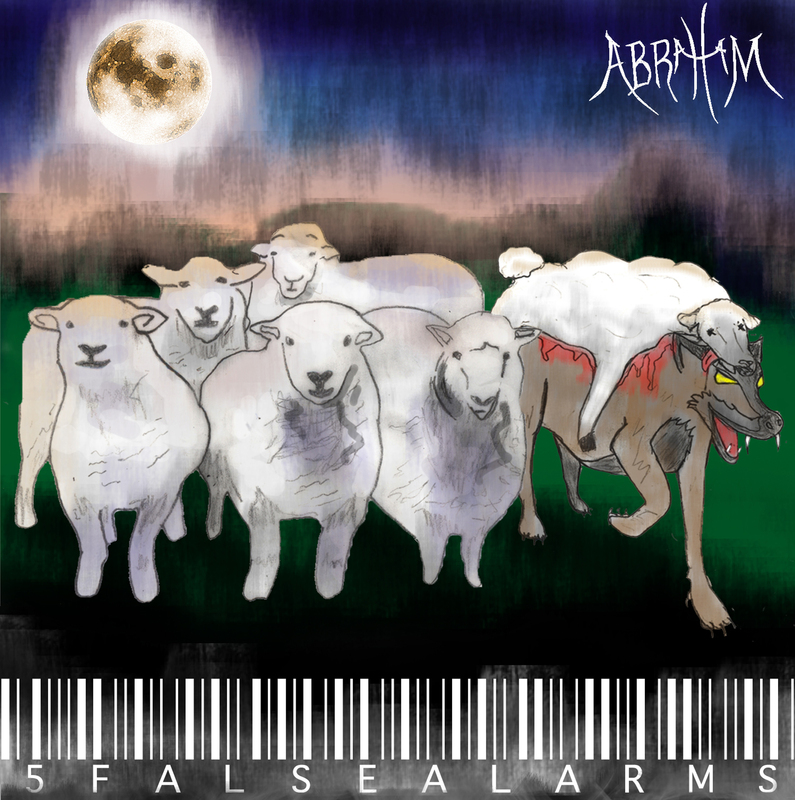 As you may know Ho-Made Records recently released it’s first album on vinyl, Abraham’s 5 False Alarms. The writing and recording of the music was obviously our first step. 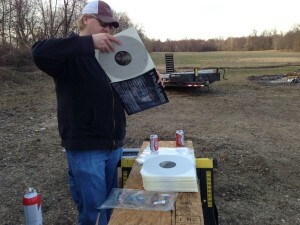 Once we had solid masters recorded we had to find a place to press the album to vinyl. 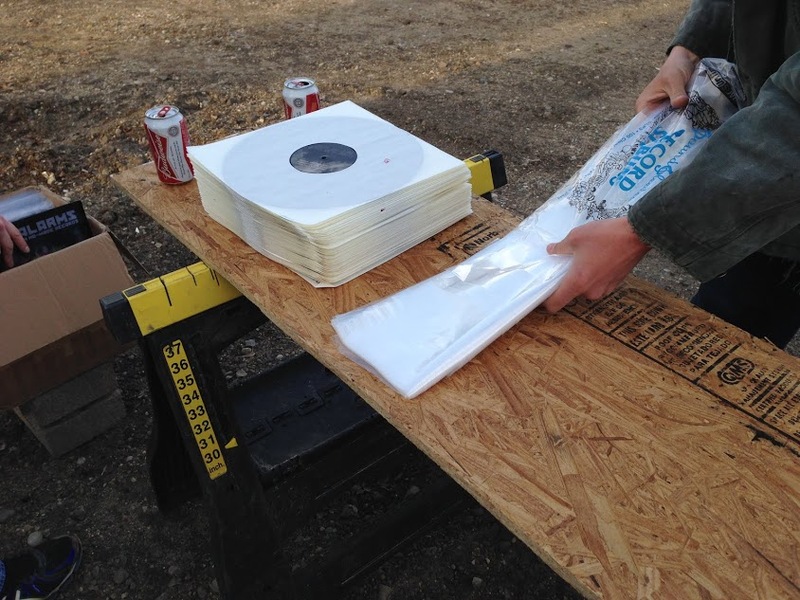 We wanted to press a run of 100 records. Until fairly recently it was impossible to get short runs of less than 500. Lucky for us pressing plants have started manufacturing shorter runs. We had to do some shopping around for the best deal. We eventually landed on a company called Mobineko out of Portland Oregon. 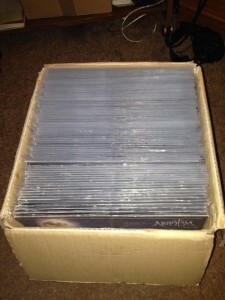 We specifically chose them because they included center labels in the price as well as free shipping. 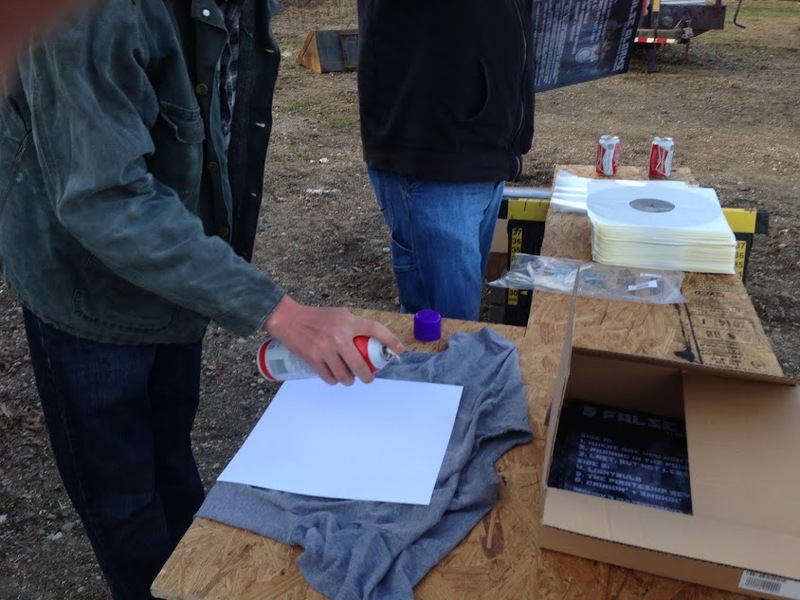 Printing on 12 1/4″ vinyl jackets is expensive. Nearly as much as we paid for the record pressing itself. On top of that, printers don’t do runs of less than 500. Just because you can press 100 records does not mean you can print 100 jackets. Instead of going way over our budget and having 400 extra sleeves, we took matters into our own hands. First we ordered 100 blank sleeves from Bags Unlimited. 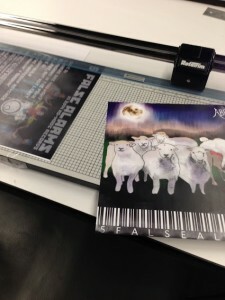 Luckily for us we have connections to people with high quality professional color printers. We printed off 100 front and 100 back covers on 12″x18″ 80 lbs bond. 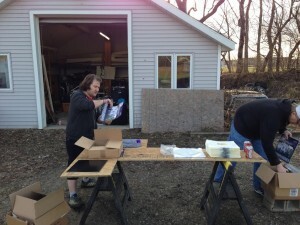 The next step was to trim off the excess leaving us with 12″x12″ squares. 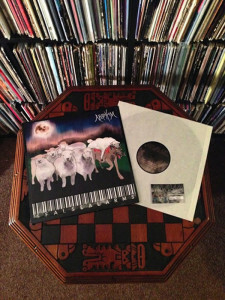 At this point we had records, blank sleeves, and trimmed prints of the albums front and back covers. 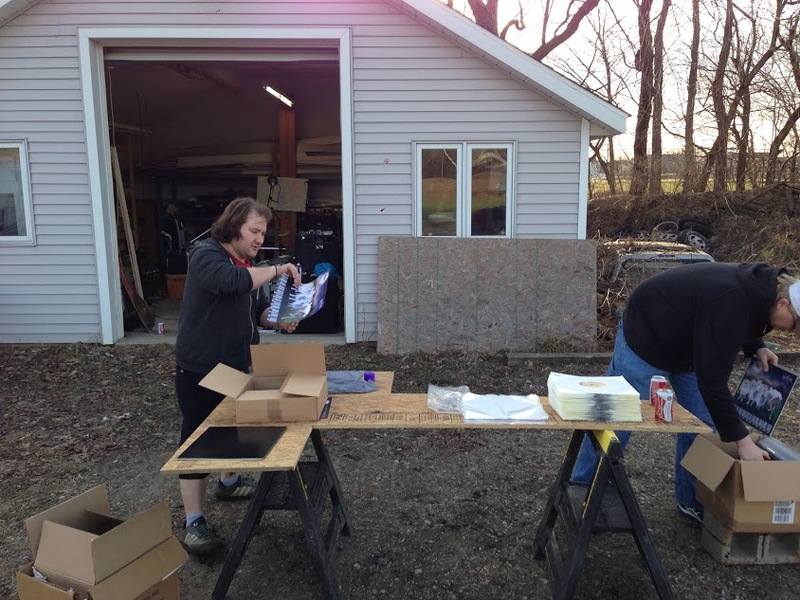 Our final step was to put them all together and begin selling them. 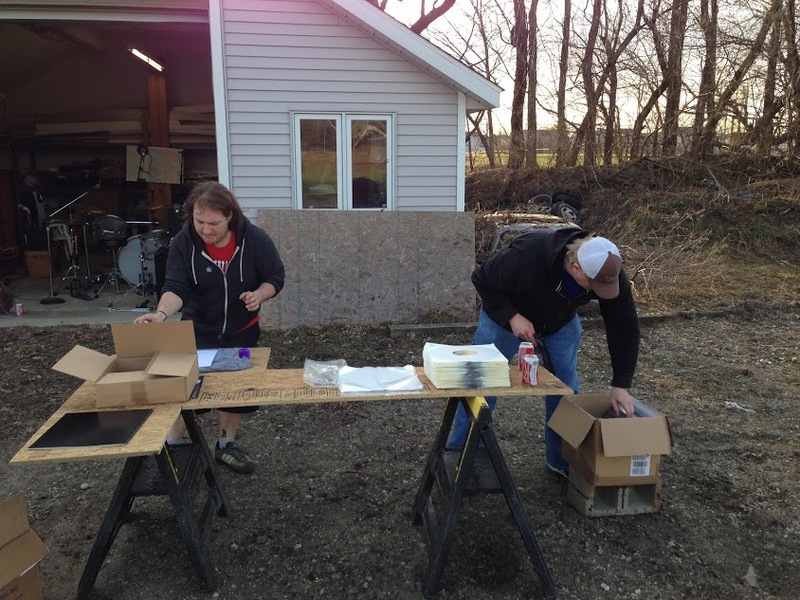 After some experimentation with Elmer’s Glue we ended up deciding on using spray adhesive. 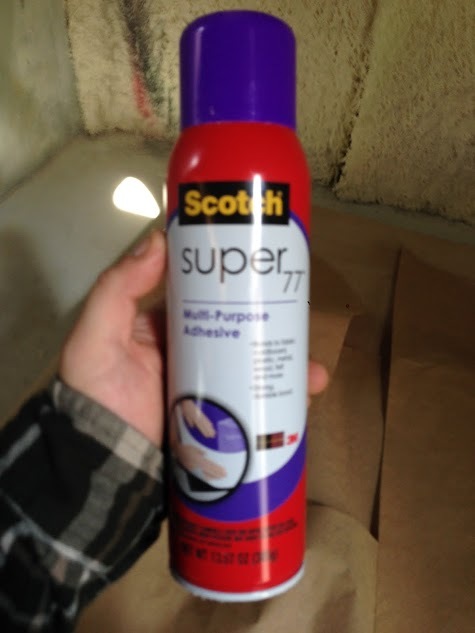 For our purposes Scotch Super 77 Multi-Purpose Spray Adhesive worked great. 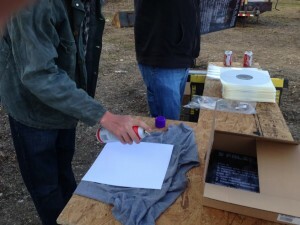 We had spray the individual sheets and carefully lay them onto the blank sleeves. 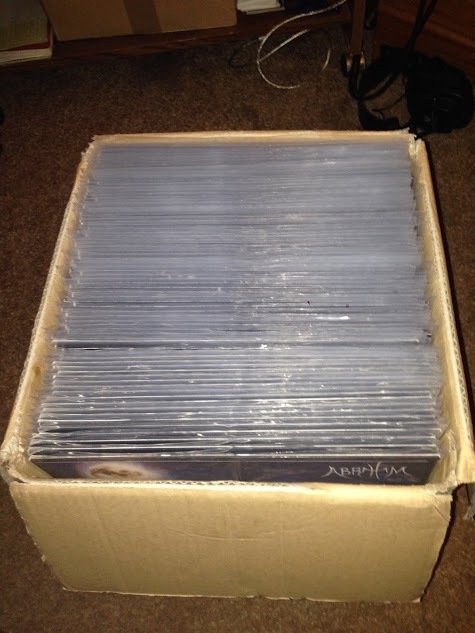 Then we put them in plastic poly bags and inserted download cards. The whole process took us about two hours and in the end they look great. When all was said and done we ended up only $18 over our budget. 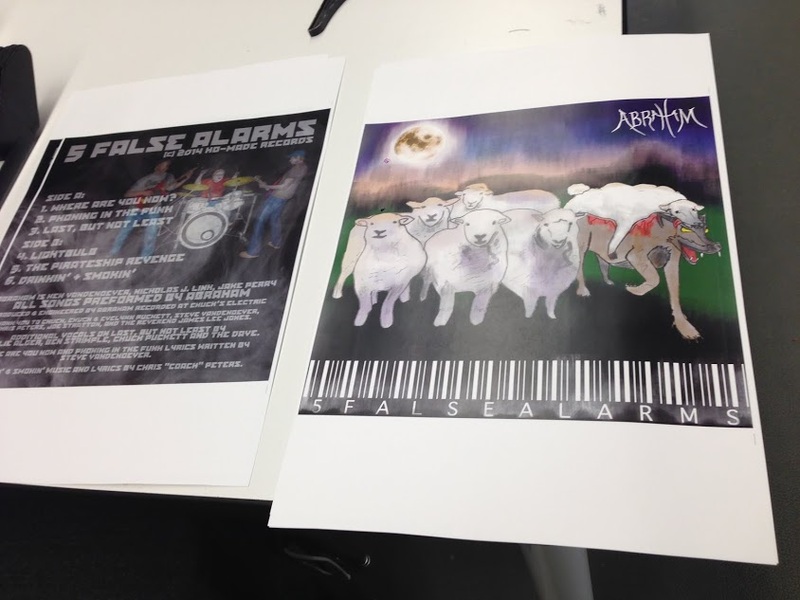 Now we’re left with 100 vinyl records of 5 False Alarms. 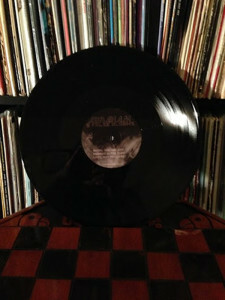 The records are for sale online via Bandcamp. They are $12 + shipping. 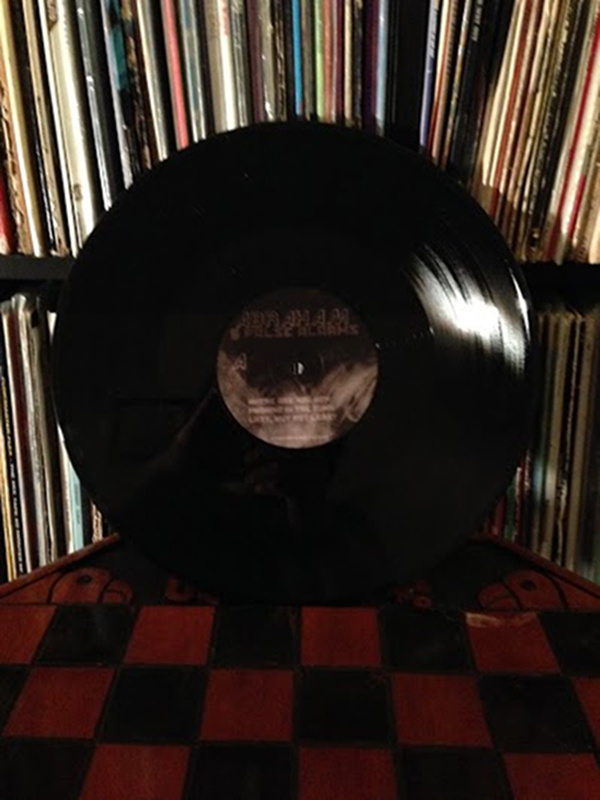 You can also purchase a record from us at our live shows or in person. We’ve added a new Videos page where you can find music videos, live performances, animations, and short films from years gone by. As always there is more video content to come. As well as the new videos feature we’ve also added a Active Bands page. 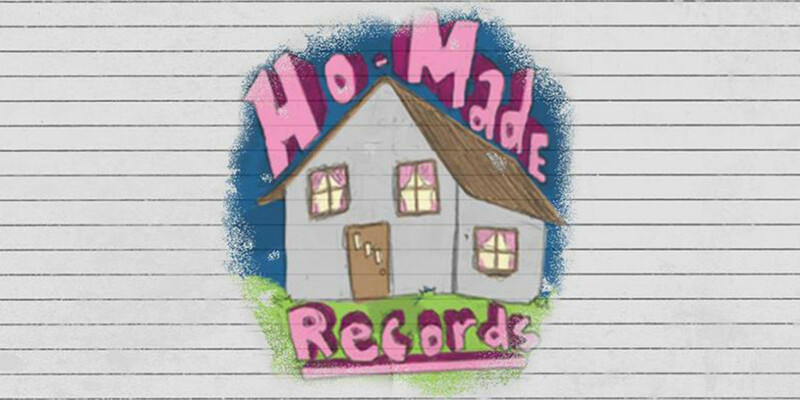 Here you can get information about Ho-Made Records current bands. Nick and Jake also have added bio pages under the About section of the site. We are working hard to get all of our content on the site. Hopefully in the near future we’ll be adding comics and other works of art. 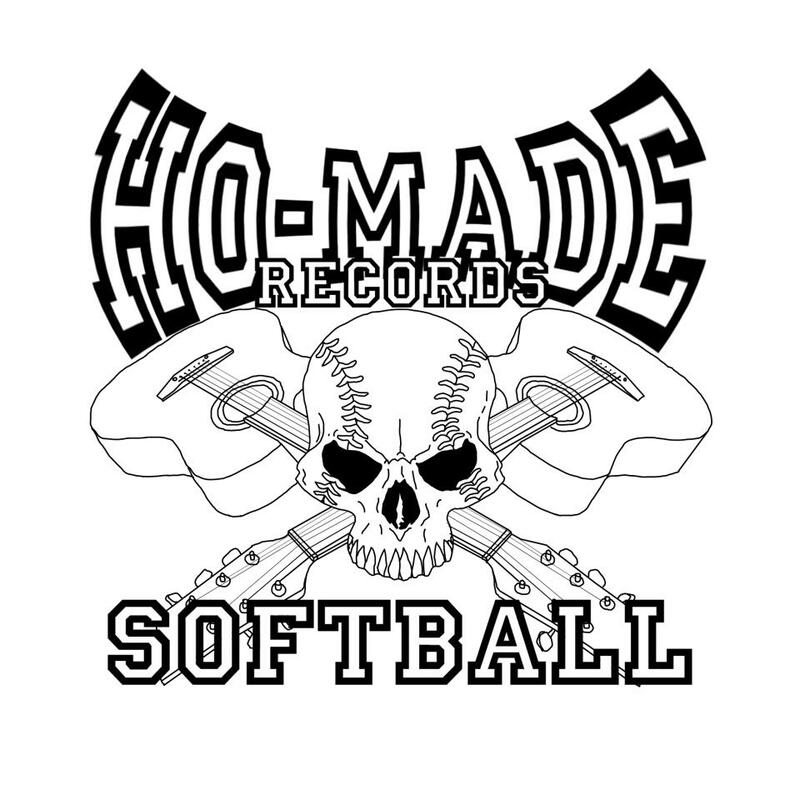 Lastly, it’s softball season again and yet again Ho-Made Records is sponsoring a team. Our boys are out practicing now. We’ll post more information about that soon.